Why We Care: The title on this one’s a little anachronistic. The truth is, aside from a few casual swipes from Brighton and the ever-present London ascendancy nobody’s come close to launching an assault on Birmingham’s perch on the top tier of the independent music scene. 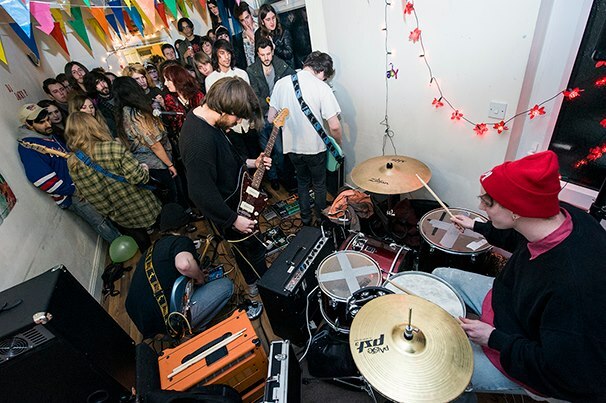 From Peace to Swim Deep via Jaws Birmingham has been spouting hyped new bands every few weeks and now, with some of its biggest names fast becoming international hits, its dug up a second tier of talent. First there was Superfood, then Caves and now, as a bleak and tedious March takes its bow, we’ve been gifted with another supremely talented gang of upstarts. Laced, ethereal Brit-pop aficionados, have only dropped one song, Jade Vine’, but with its soaring melodies, savage riffs and massive choruses we feel pretty confident in predicting rather large things. We’ve been looking for an excuse -in typically cynical fashion- to write off B-town as a self fulfilled prophesy fueled by hype and the odd spot of actual talent but, with another gem courtesy of the city, it might be a while before we can.